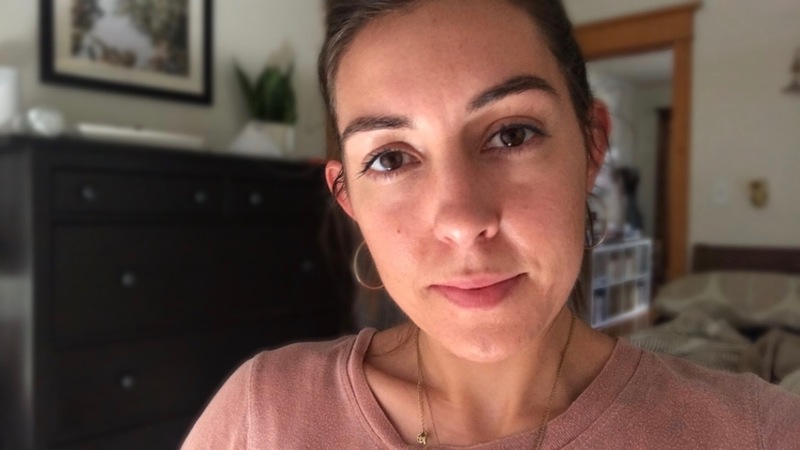 After a decade-plus of breakouts, I was looking forward to at least a few years of finally knowing what it meant to have good skin. Then, as if my body were giving me a bad 27th birthday present, I realized that seemingly overnight a dent had formed between my brows. I’ve always thought that this was the worst kind of wrinkle to have. It makes the wearer look perpetually angry, or confused, depending on the situation. I’m sure mine showed up due to years of wearing the wrong vision prescription and my general aptitude for frowning, but they were now being coaxed out more quickly because of the way I like to burrow my head into my pillow while I sleep. Spending eight-plus hours with my face smashed into the bed turned what was supposed to be beauty sleep into my greatest enemy. 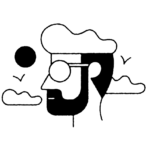 So I spent a few hours watching Botox injections, reading Juvederm reviews, and trying to psych myself up about getting a needle in my face before my self-awareness caught up to remind me that I hate injections and I’d never bring myself to schedule the appointment. So I tried another route. Frownies have been around since 1889, and the way they work is simple — by holding the skin taut for an extended amount of time (ideally overnight). This relaxes deep wrinkles and keeps you from frowning or furrowing. Because my problem is exacerbated while I sleep, Frownies were the perfect tool to keep my forehead and brow from creasing against the pillow. I entered the world of natural solutions with caution. Though I do try to live a “clean” life, when it comes to skincare, I just want what works. Usually this means serious ingredients and expensive procedures. I ruled out facial massage (too gimmicky) and sleeping on my back (never going to happen). So when I saw that what was essentially a sticky piece of paper had 4+ stars on every review site, I was still unsure that it would ever work for me. But at $19 for 144 nights’ worth of treatment, I went for it. The brown paper is thinner than cardboard but thicker than a paper bag. One side is coated with a shiny substance that becomes sticky when wet and adheres to the skin when it dries — just like pore strips. 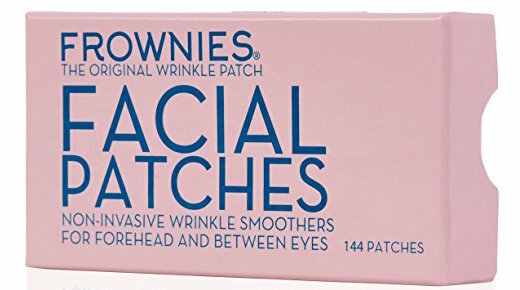 In fact, if you’ve ever used pore strips, that’s exactly what Frownies remind me of, right down to the subtle minty scent. A warning: Just as Frownies remind me of a pore strip, they act like one if you don’t dampen the material before you remove it. So unless you’re looking for a quick brow wax, wet the paper before you tear it off. 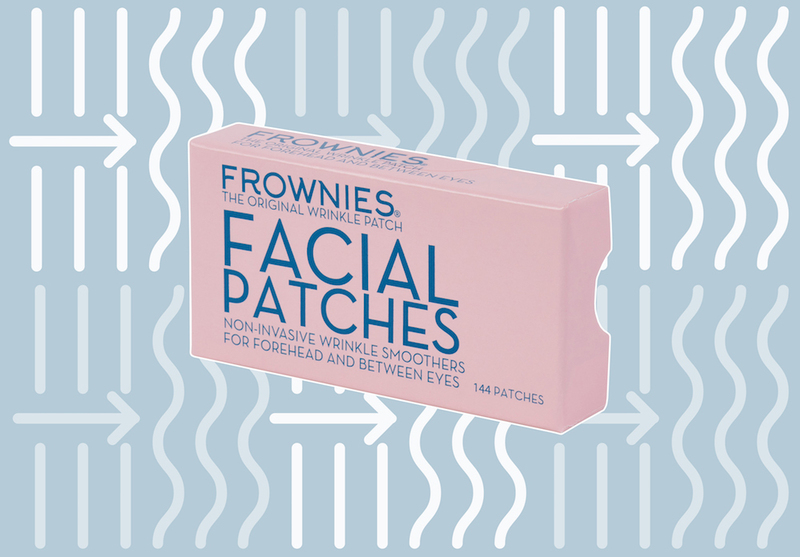 You can wear Frownies almost anywhere you have wrinkles or fine lines, but it is especially useful for the forehead. It comes in a small rectangle of perforated triangles that you can break off as needed, depending on the area being treated. 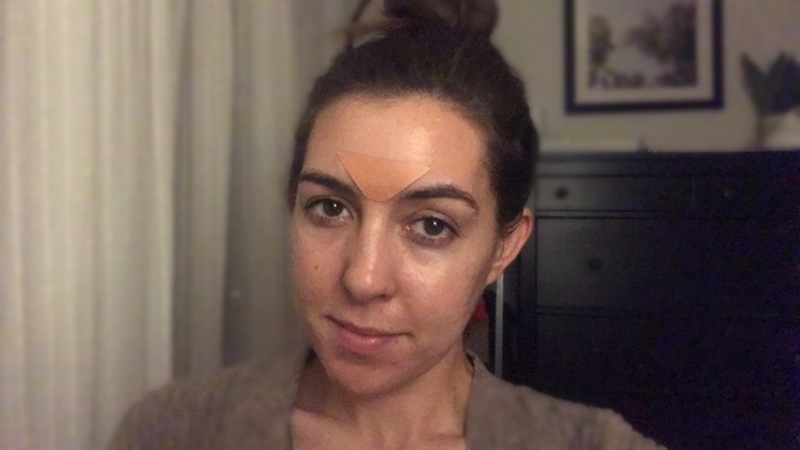 I only use it between my brows, so I tear off one small triangle at a time. After my nightly skincare routine has soaked in, I wet the shiny side of the Frownie with a drop or two of water. I use one hand to pull and smooth my lines and I apply the Frownie, pointy side facing down my nose, holding it there until it begins to tighten up. Then I avoid any facial expressions until it dries completely. 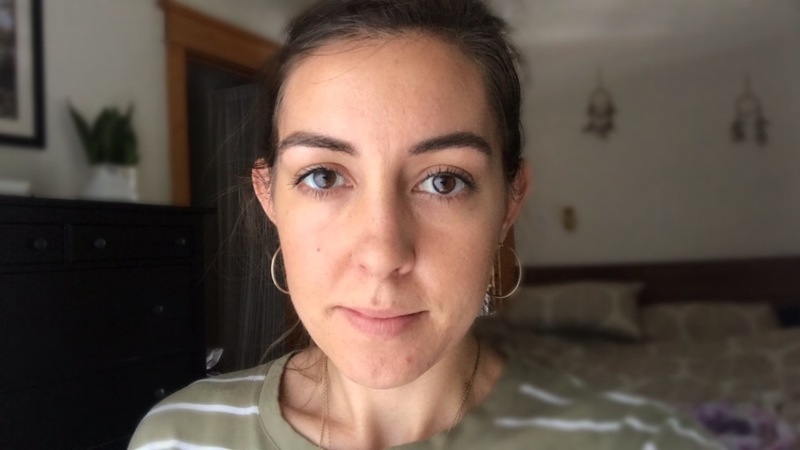 After a few minutes, I forget it’s on my face until I furrow my brows or move my forehead, at which point I feel the tightness that reminds me to keep a neutral expression. Here’s what my wrinkle looks like by the end of the day without Frownies. After a night spent wearing Frownies, I woke up without a deep wrinkle. Best results are seen with long-term use, but even after one night I woke up without my usual crease between my brows. It crept back in throughout the day, but to a much smaller degree than I typically see. After a few months of regular use, Frownies says that you can decrease your usage to maintain results. 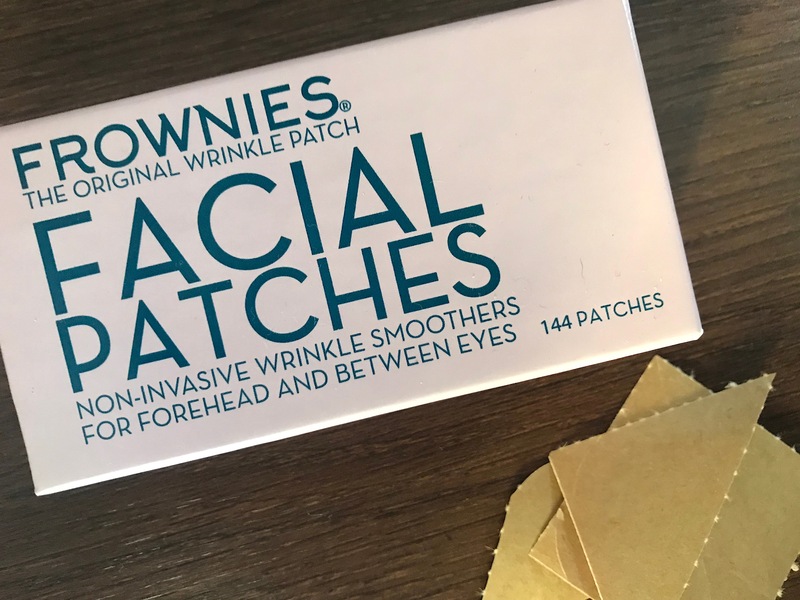 The affordable price, easy usage, and effectiveness means that Frownies will be my go-to wrinkle smoother (but maybe only when my boyfriend is out of town).